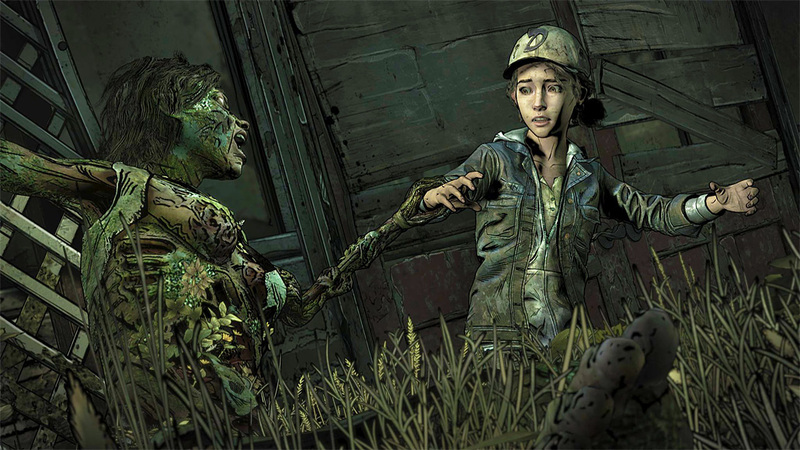 The Walking Dead: The Final Season was supposed to be the beginning of a new chapter for Telltale Games. Following a series of so-so releases and damning reports about working conditions at the studio, Telltale changed up their leadership and pledged to refocus and give The Walking Dead the sendoff it deserves. 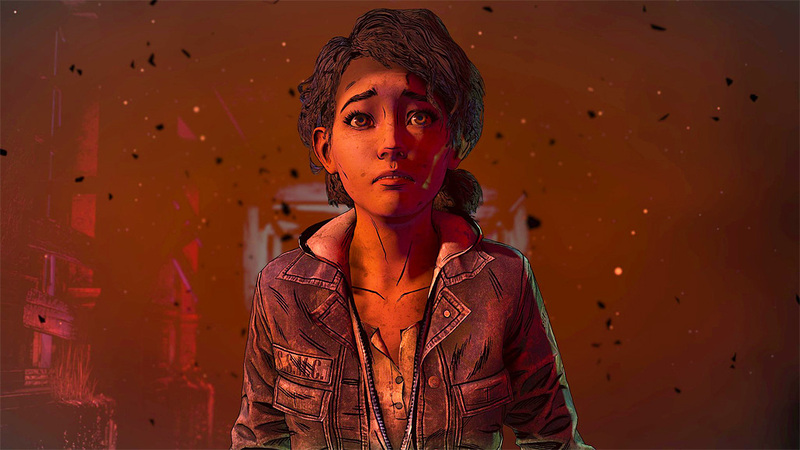 And it seemed like Telltale was going to deliver on their promise – The Walking Dead: The Final Season Episode 1 was a gripping return to form for the studio. And then it all went to hell. Late last week, Telltale unexpectedly announced they were closing their doors and cancelling all future projects. Telltale has yet to specifically spell it out, but word is The Walking Dead: The Final Season won’t receive a proper conclusion. But Telltale did send out review codes for The Final Season Episode 2 just days before they pulled the plug, and thus I find myself in the slightly odd position of reviewing a finale that wasn’t intended to be a finale. So, is this episode worth playing, or will it leave Telltale and Walker fans feeling dead inside? Warning: This review contains spoilers for The Walking Dead: The Final Season Episode 1. The boarding school gang aren’t thrilled about their leader’s skull being ventilated, even if he was kind of a jerk, and so they vote to expel Clementine and AJ. Once out on their own, they quickly run afoul of the raider group Marlon did his dirty deal with, who just so happen to be led by somebody from Clementine’s past. No spoilers, but Telltale went all the way back to Season One to unearth this character. A conflict ensues, during which AJ is shot, but, thankfully, our heroes are saved at the last minute by James, a former member of the Whisperers, who survives amongst the walkers by wearing a human skin mask. According to (the surprisingly hunky) James, the raiders are looking to forcibly recruit the kids at the school into their army, so Clem heads back to the school to get medical attention for AJ and warn them about the attack. With doom hanging over their heads, everybody agrees to let murderous bygones be bygones and begin preparing for the raiders’ attack. The Final Season Episode 1 told a simple story focused on character development and a more disturbing, psychological brand of horror. Episode 2, by comparison, is all about plot. Longtime fans of The Walking Dead may appreciate the callbacks to earlier Telltale seasons and references to the comics, but, ultimately, this episode just isn’t as interesting as the first. It feels a bit padded, with a sequence in the school’s greenhouse feeling particularly wedged in and contrary the previous episode’s setup (why would these kids who are so concerned about maintaining a safe zone leave a bunch of walkers wandering around in a glass house on school grounds?) Also, if you’re at all familiar with any iteration of The Walking Dead you’ve probably already seen battles like the one at the end of this episode play out multiple times. The Final Season Episode 2 isn’t without its high points though, most of which come when it gets back around to the character-driven stuff. 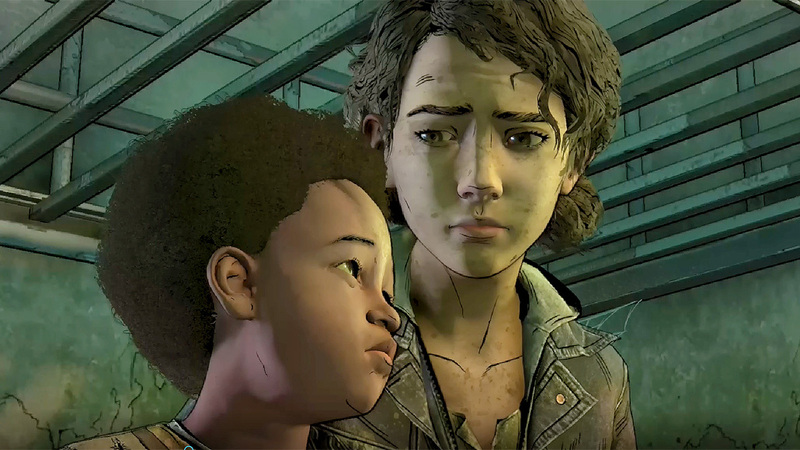 The “post-apocalyptic parenting sim” feel of the first episode has been dialed back a bit, but there are still some downright heartbreaking scenes between Clem and AJ. The game asks you to consider what you would do if somebody you loved did something horrible – would you empathize with the victim/society, or is it family above all? A difficult question at the best of times, but an almost impossible one when the perpetrator is an adorable 5-year-old boy. In addition to the AJ stuff, there are also further hints there may be some romance in Clem’s future, with the game allowing you to engage some cringe-worthy (in a fun way) teen flirting. Unfortunately, while this episode’s writing is solid enough, it’s action scenes take a turn for the worse. Episode 1 largely deemphasized action, but Episode 2 makes up for that with a boatload of quick-time events and a particularly annoying, glitchy walker-shooting sequence. Yeah, the action stuff is still easy enough to muscle through, but it was easier to ignore in the previous episode. The Final Season Episode 2 lasts your standard 2 to 3 hours, and then it’s done. Anybody hoping Telltale might have added something to the episode at the Eleventh Hour to provide fans with some closure are out of luck. The episode ends on a typical Walking Dead final page cliffhanger, except this time the next “issue” will probably never come. Dreadful sorry, Clementine. This review was based on a PC copy of The Walking Dead: The Final Season Episode 2 provided by publisher Telltale Games. You can purchase the Season for Xbox One or PlayStation 4 via Amazon, for PC via Green Man Gaming. As a middle chapter of what was supposed to be a four-part series, The Walking Dead: The Final Season Episode 2 gets the job done just fine. It gets a bit bogged down in plot, but still delivers some moving scenes and interesting new and returning characters. As possibly the final statement of one of the best narrative video game developers of all time, it's a crushing disappointment. Here’s hoping the remainder of The Walking Dead: The Final Season can somehow rise from the grave.